This is part 2 of my Ninja Ultima blender review, so, if you haven’t read part 1, you can check that out here. However, this review is more of a story than a review, and it could also be titled, “If at first you don’t succeed, try, try again.” Because, on the first attempt at this, I completely failed. Don’t worry, it has a happy ending, so keep reading! 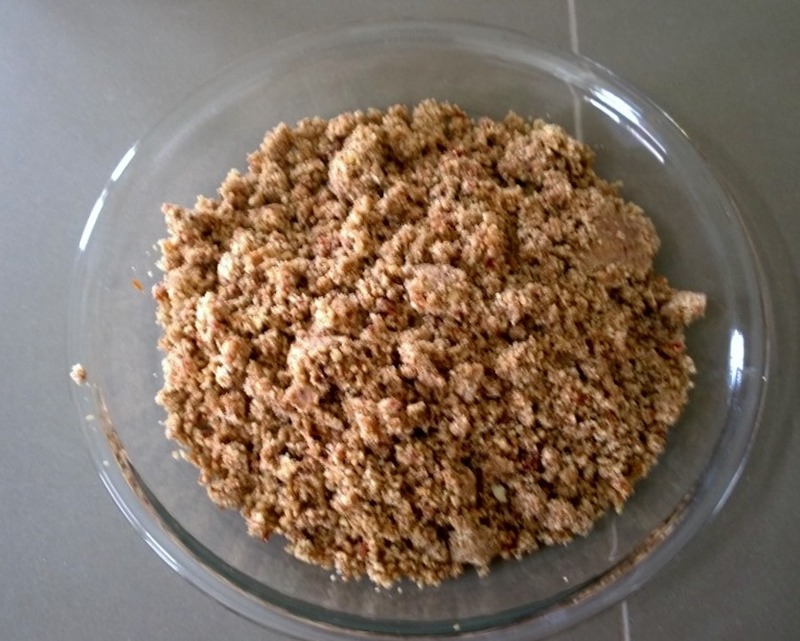 Generally, I recommend soaking, rinsing, and drying nuts prior to making nut butter (except peanuts – they are not nuts, and if you soak them you could grow toxic mold – bad idea). 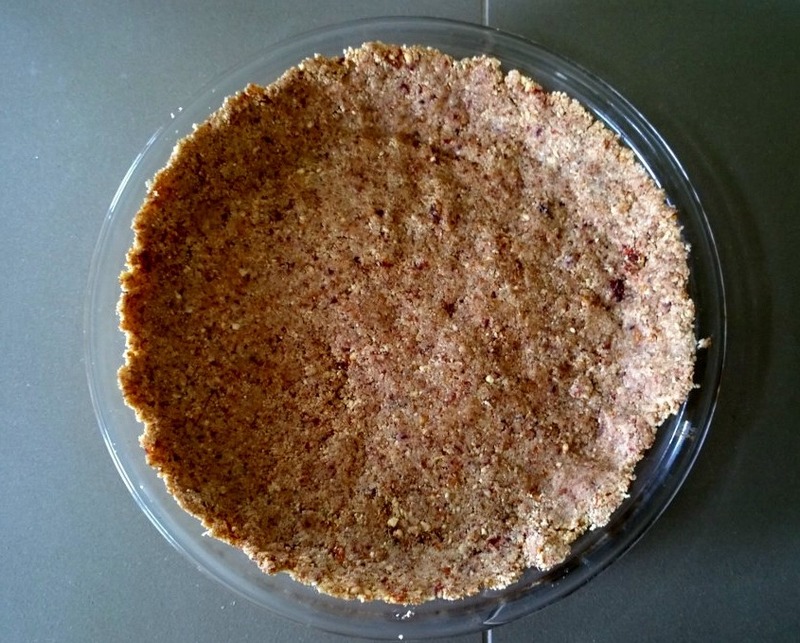 This method of soaking, rinsing, and drying, softens the nuts and also removes the natural enzyme inhibitors on the nuts, making them easier to digest. 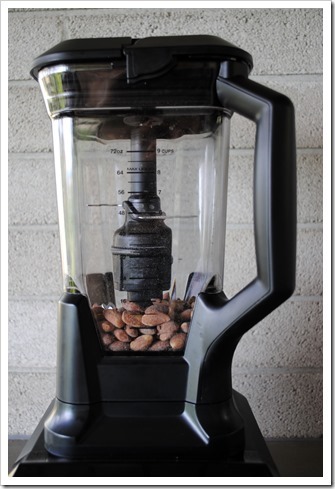 What it doesn’t do, apparently, is let almonds blend smoothly in the Ninja Ultima blender. 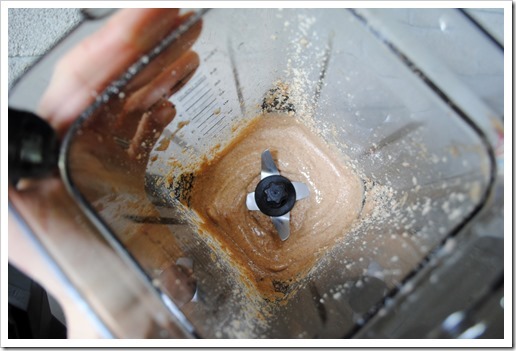 (I have only ever made almond butter in the Ninja Mega with the food processor bowl). To cut the story short, on my first try, I achieved a great big F. Failboat with a capital F! 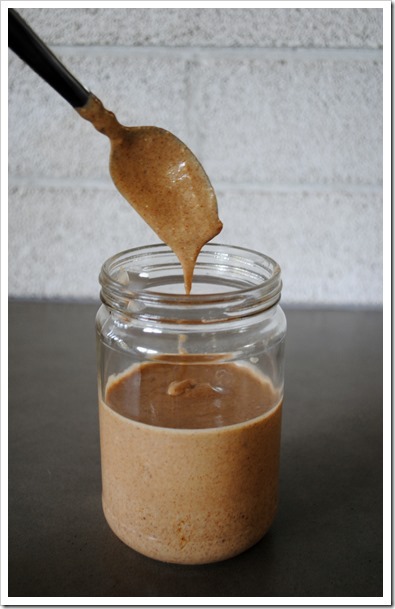 But, determined to not be beaten by a machine, I took another stab at making almond butter, this time, with a slightly different tact: Roasted almonds. 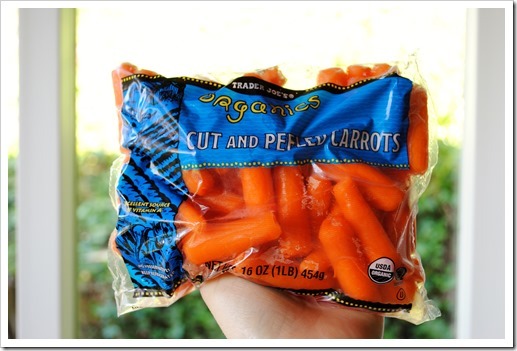 Fresh out of almonds, I marched on down to the local Albertson’s in search of bag of almonds to try again. Standing in the nut aisle, taking stock of the situation, I saw there was only one bag of plain roasted almonds left on the shelf. The top shelf. As I went to reach for it, a small elderly woman, not 5’5” tall whipped her arm up and snatched the almonds! Argh! What to do?! 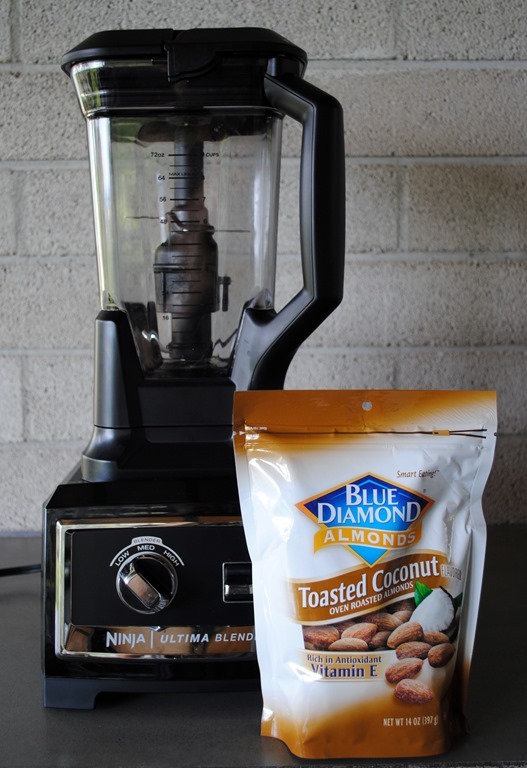 Luckily, there was another variety of almonds at the ready: Toasted coconut almonds. 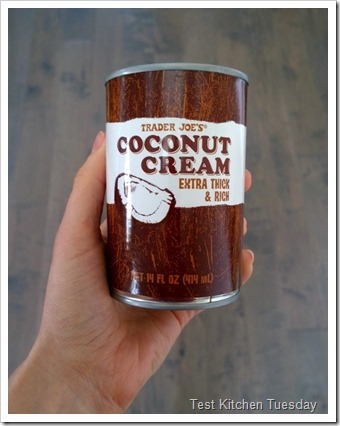 I had never heard of or seen toasted coconut almonds, but I am hear to tell you –. they are incredible. This goes against everything I have said for years: Soak the nuts! Rinse the nuts! Or even better, sprout the nuts! 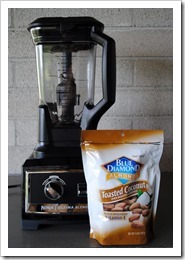 Sometimes, you just have to go nuts and have the flavored almonds. 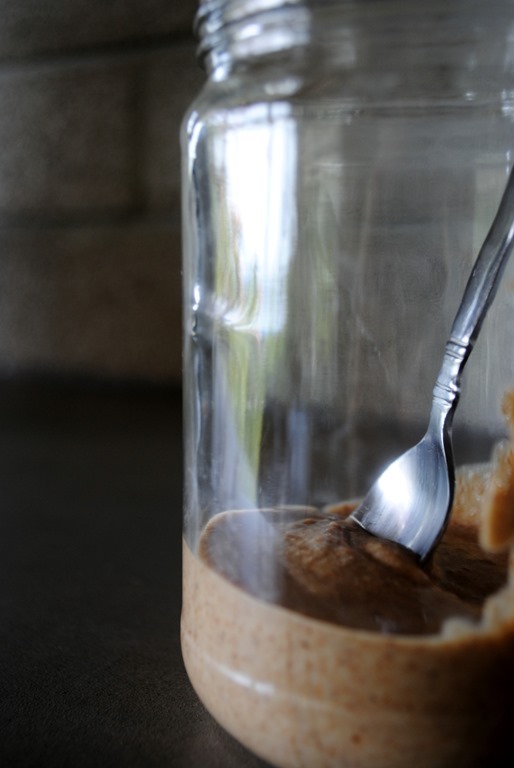 Anyway, moving along to the point of this post, when it comes to almond butter, there are really two camps: Those that love it and those that hate it. Nary a person falls in between, it seems. 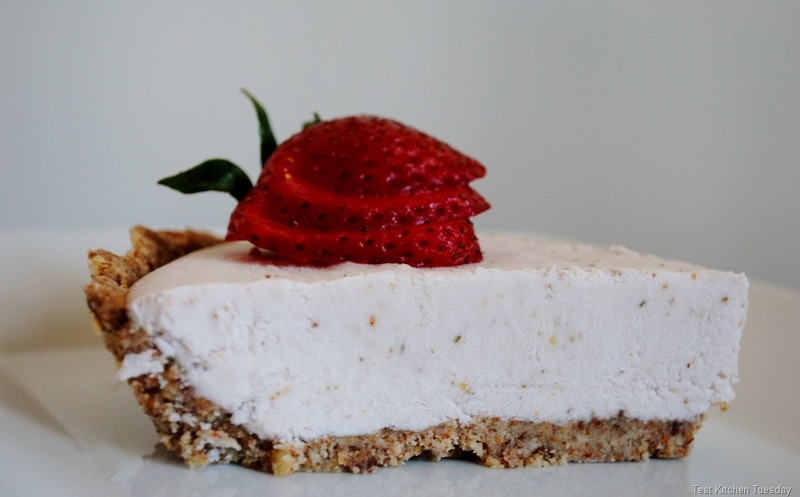 Almond butter haters, I really can’t help you! 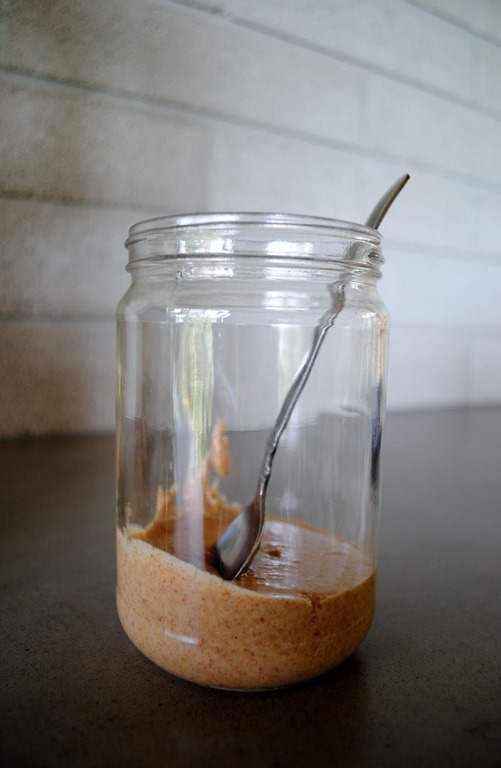 But, almond butter lovers, this post is going to change your world! 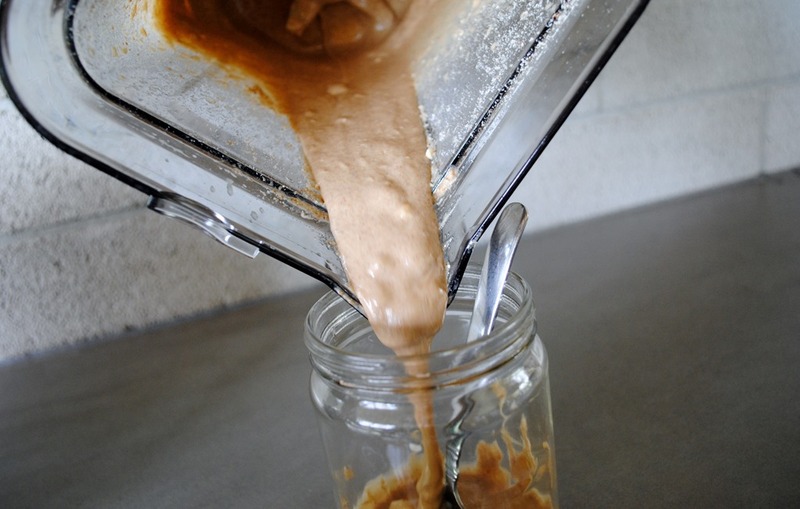 One main drawback to almond butter over peanut butter can be a simple matter of economics. 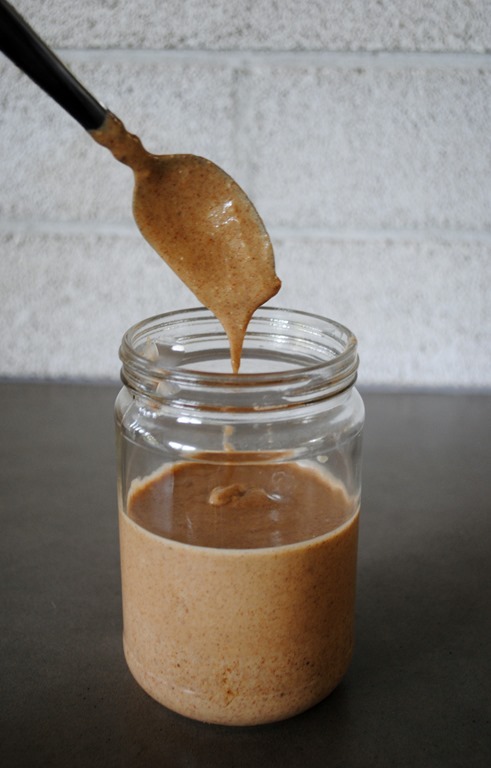 Almond butter is generally quite a bit more expensive than peanut butter. 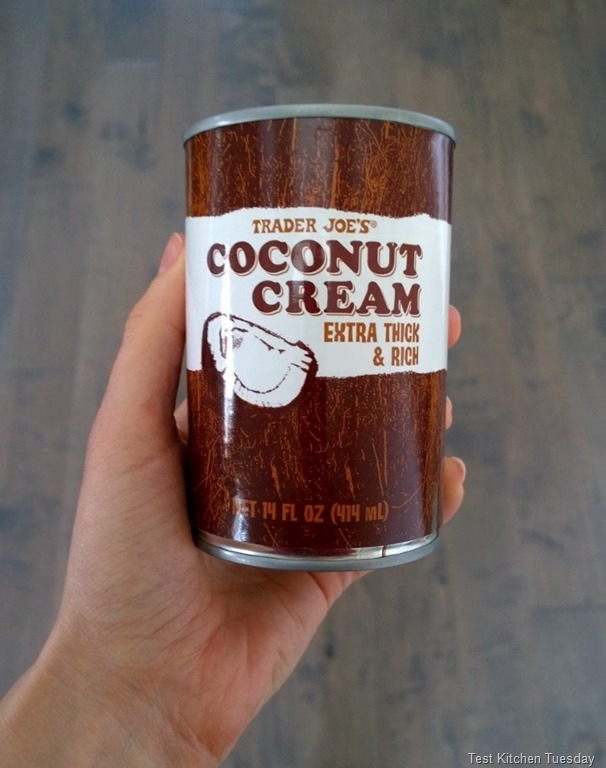 While you can find it at Trader Joe’s for a decent price, you might have to take out a loan to buy a jar of almond butter just about anywhere else. 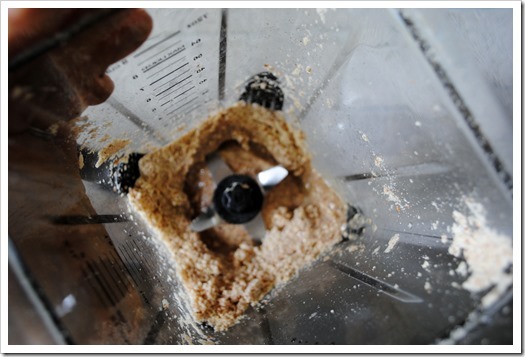 Therefore, I thought a good demo to show the prowess of the Ninja Ultima blender would be how to make one’s own almond butter from scratch. 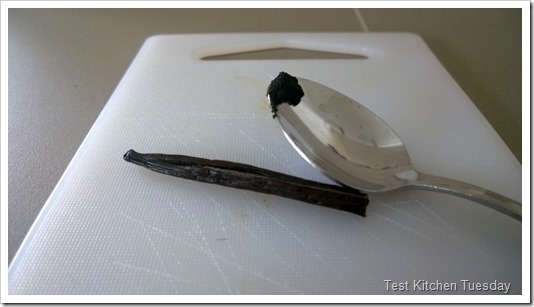 After my first attempt failed, I did a little homework on the Ninja site, and saw that in addition to using roasted/toasted almonds, they recommend not using the quad blade for making almond butter, so, I tried just using the bottom blade at first. 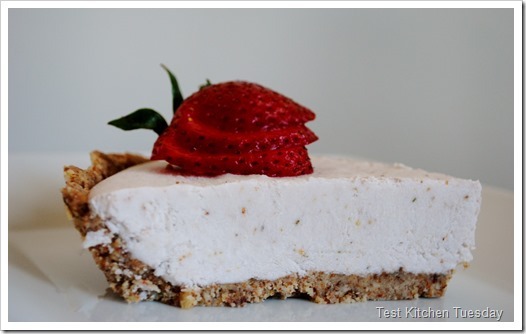 That didn’t really work that well either, as a lot of almond dust clumped on top of a layer of almond butter on the bottom, so, I put in the quad blade and that worked great. It just took a little trial and error to sort this out, and it was worth the effort. 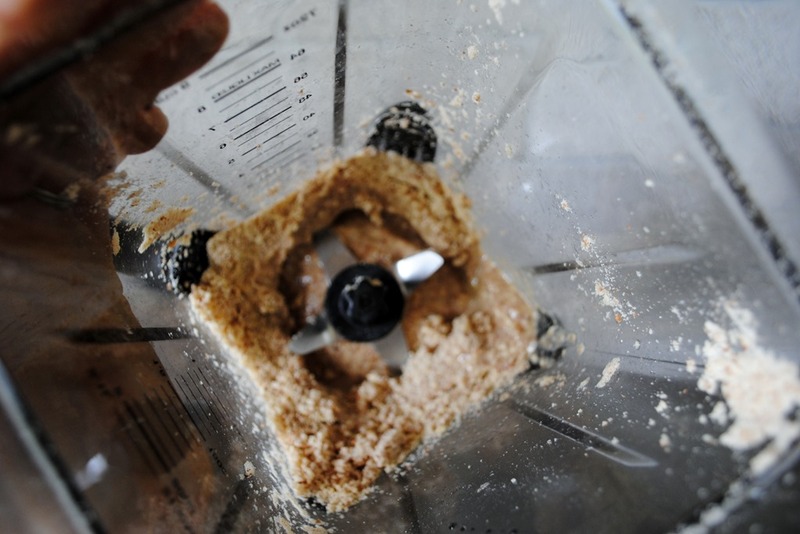 Bottom line: Can you make almond butter in the Ninja Ultima? Absolutely. Should you? Absolutely. 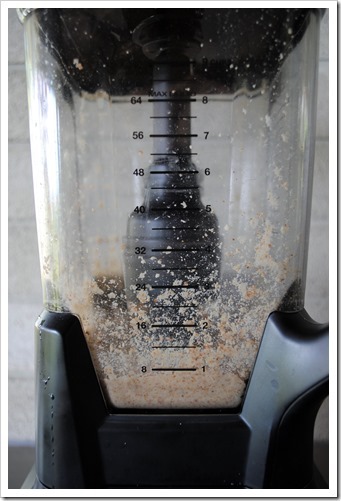 Add oil to blender jar. Note that I didn’t bother melting it. Begin to increase the speed. Move to medium for BL800 and about 4-5 for other models, and blend for 30-45 seconds. 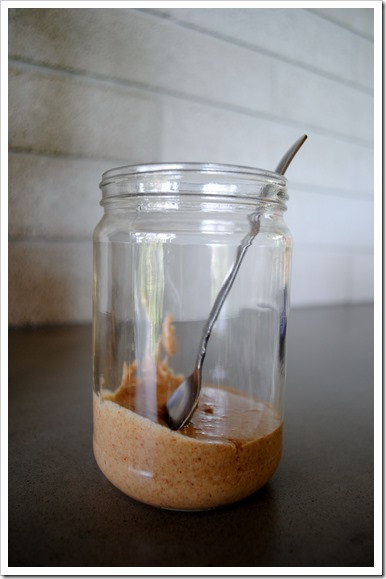 You will start to see an almond butter consistency form inside the jar. 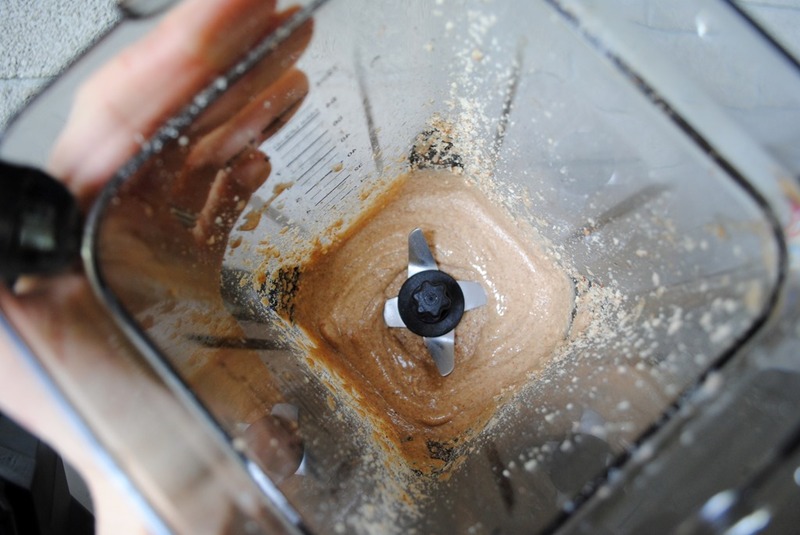 Increase the speed to “high” on BL800 or 8-9 on other models and finish blending for about 30 seconds, or until you reach a consistency you like. (Again, I took the quad blade out for this picture). 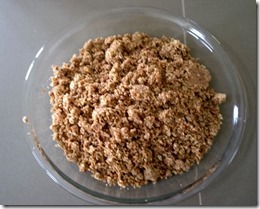 Store in an airtight container in the fridge. 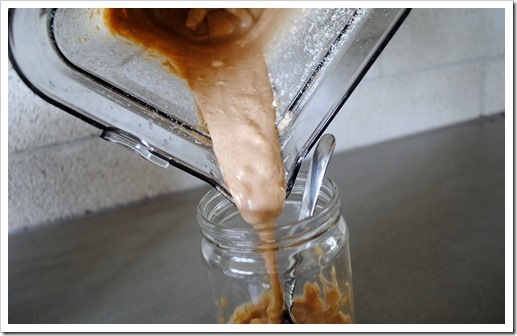 I just happened to have an old almond butter jar (I save them all), so, into a jar it went. 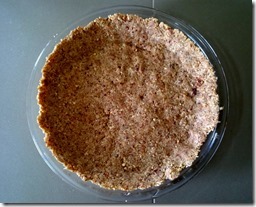 Note that the almond butter will come out fairly warm, so you will want to let it cool a bit before putting on the lid. And with that, I bid you adieu. I’m off to inhale enjoy some almond butter. 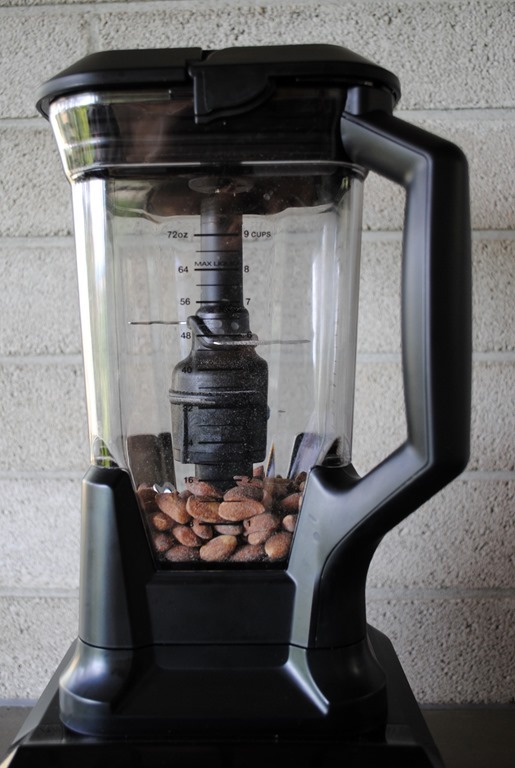 I have heard your cries, your nudges, and even your carrier pigeons, asking me to please review the Ninja Ultima Blender, Ninja’s latest entry into the super-powered blender market. And today, I present you with the much-requested review. Much like reviews I’ve done in the past, this will be a multi-parter so that I can show you a few different aspects of the machine. 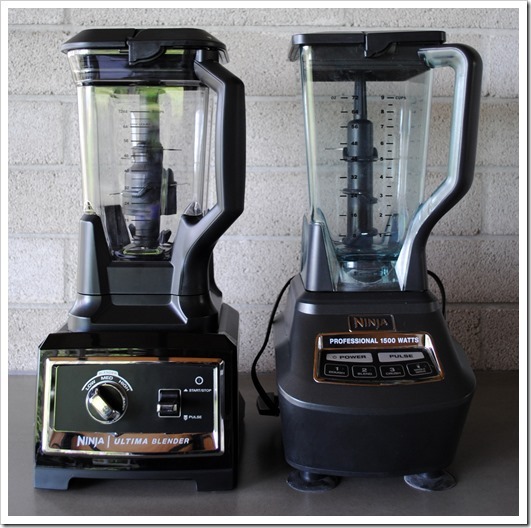 As a reminder, I have absolutely no affiliation with the company that makes Ninja Blenders (Euro-Pro), and this on purpose. This lets me bring you totally unbiased reviews. 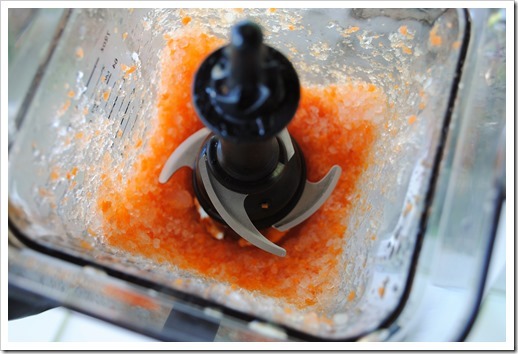 It also makes me a crazy blender lady, because I have way more blenders than any person really needs! 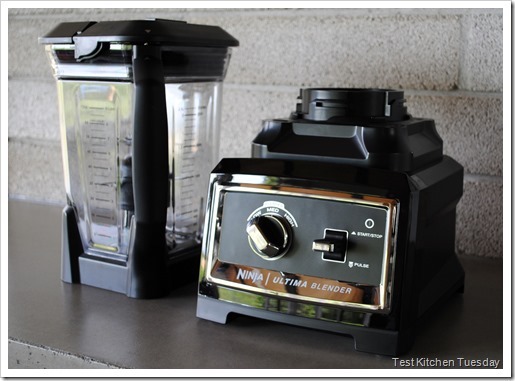 Speaking of too many blenders, if you’re shopping for a blender, be sure to check out my other Ninja reviews: Ninja Mega Kitchen System, Ninja Pulse, and Ninja Professional Blender. 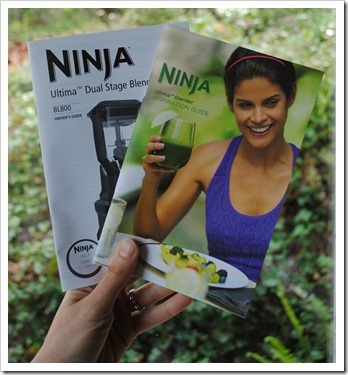 I am planning a post in the coming weeks that will answer the question you will likely have after reading all of these reviews: Which Ninja Blender is right for me? So, please stay tuned for that. In the meantime, this FAQ sheet may be helpful if you have Ninja questions. But for now, we’re going to poke around under the hood of the Ninja Ultima, okay? Much to my chagrin, there are so many models to choose from with this blender, just as there are with all of the Ninja blenders these days. 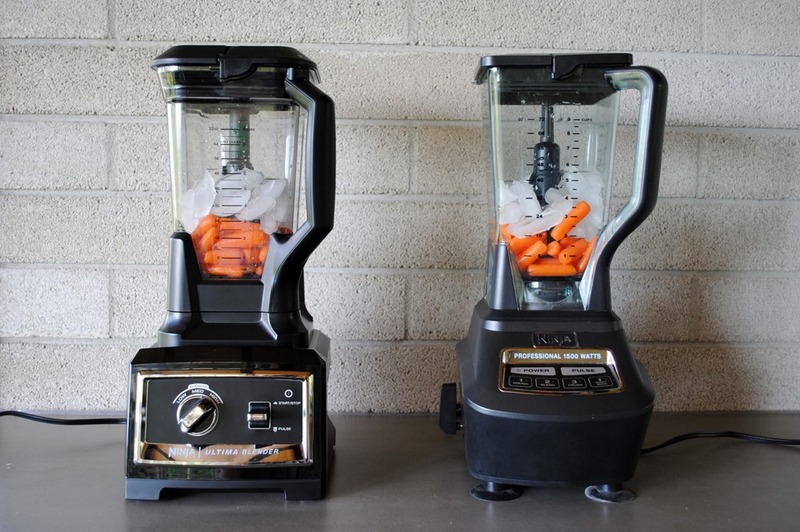 This is of course to have a blender in every price point, but it can be very confusing. 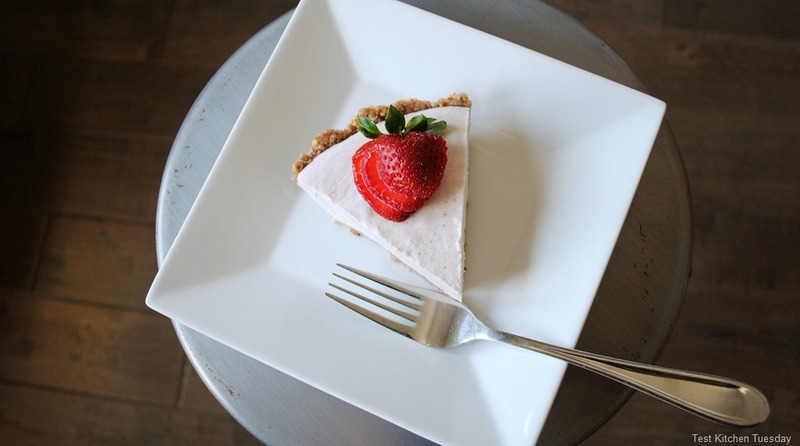 They start with the BL800, which is the “base” model and just comes with the 72 ounce pitcher, and go from there, to models with single serve cups, food processing attachments, and more. 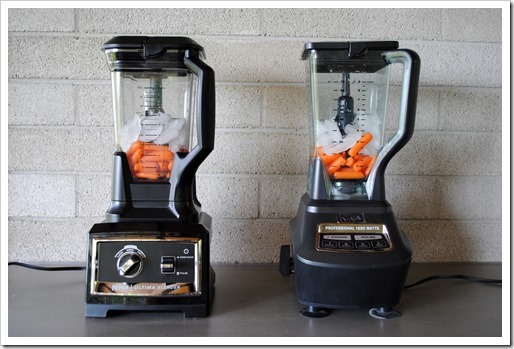 Different retailers carry different models, so, depending on where you buy your blender, you can get different accessory systems. Fun, right? <–sarcastic font in full use there! 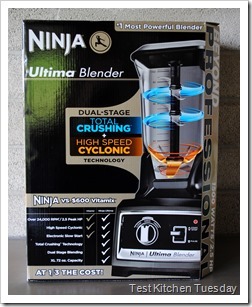 Since I already have a Ninja Mega Kitchen System, Ninja Professional, and Ninja Pulse, I picked up the base model Ultima from Wal-Mart (the only place that sells the BL800), for $199 that came with a $50 e-gift card, making the price $149. Ninja has a good comparison chart of which models have which accessories, here. However, I’ll boil it down for you for easy reference in the simplified chart below. All models come with the 72 ounce pitcher and removable quad blade assembly, so I haven’t listed that below. I do have one suggestion, though. Unless you find a screaming good deal on the BL800, like I did, I would recommend trying to get at least the BL810 or higher when it comes to models. This is a personal preference, but I am a huge fan of single serve cups, and the BL800 does not come with any. This isn’t a problem for me, since I have lots of single serve cups for other model Ninjas (they are not interchangeable, by the way). Assuming you are not like me, do yourself a favor and start with a model that comes with single serve cups – they are incredibly convenient to have. The model I bought also comes with a user’s manual and “Inspiration Guide,” which has a handful of recipes and tips. 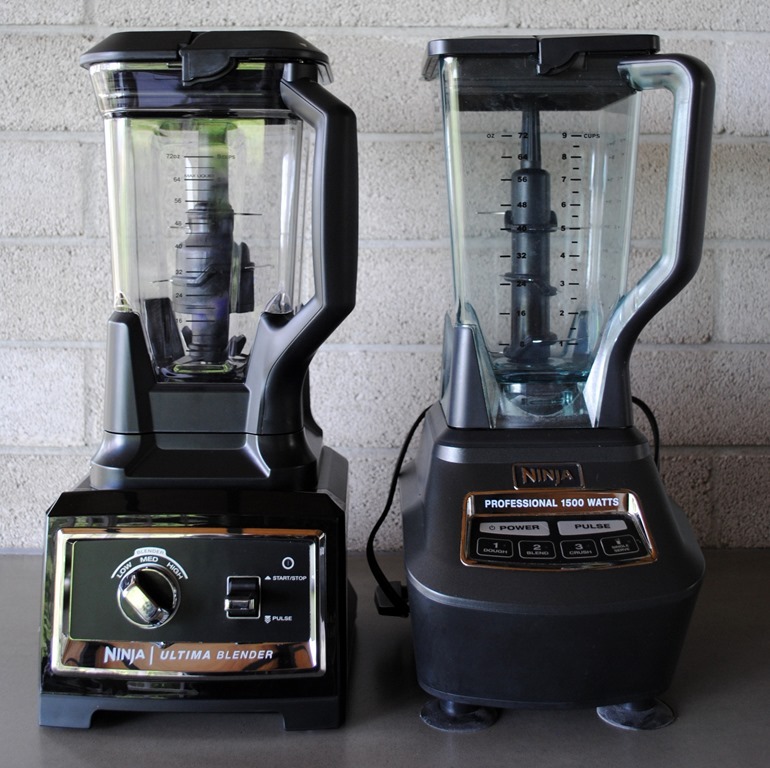 One would assume these two items come with each model in some form or fashion, as they serve as getting started guides to using the blender. 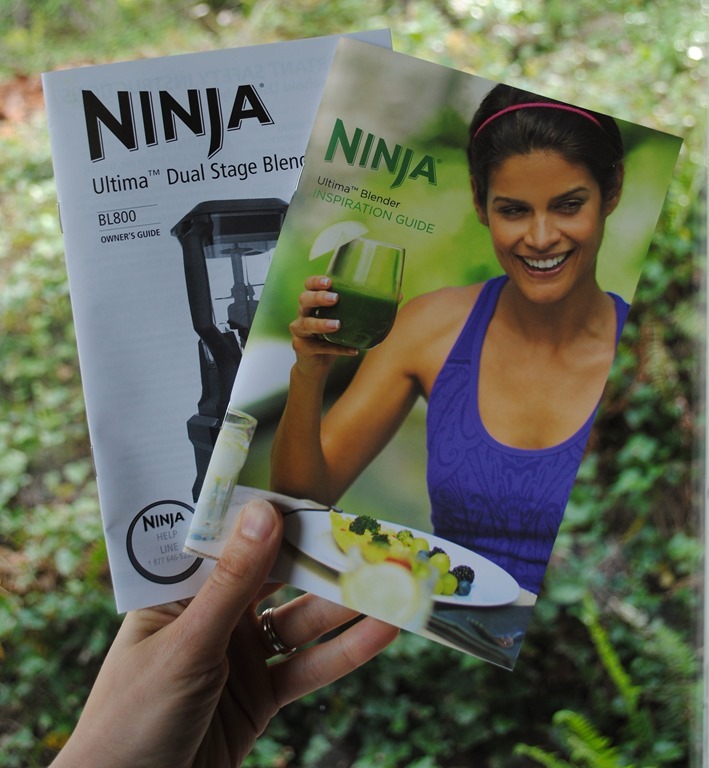 What’s the Big Deal About the Ninja Ultima, Anyway? 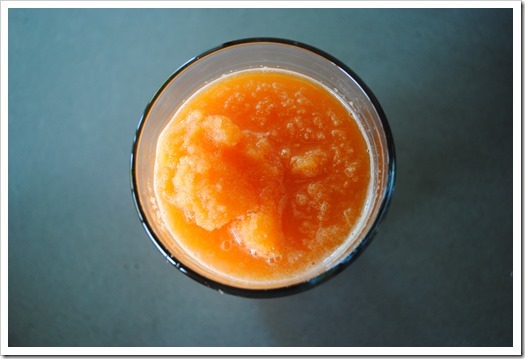 In general, the Ninja blender line offers really powerful blenders at more affordable prices than something like a Vitamix or BlendTec. 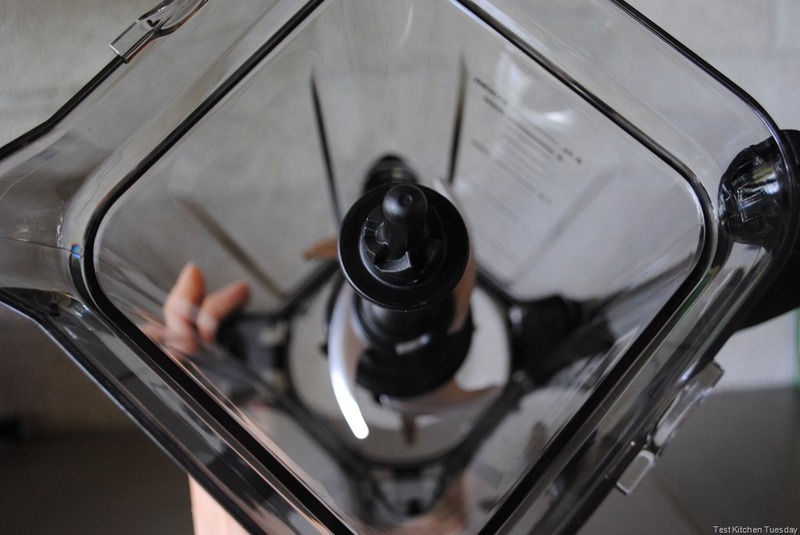 The Ninja blade system is different than most blenders, as it goes up through the middle of the jar, instead of being clustered at the bottom. For a lot of uses, this is awesome. For some uses, it’s not so great. For instance, this blade set up is great for making homemade Lara Bars. 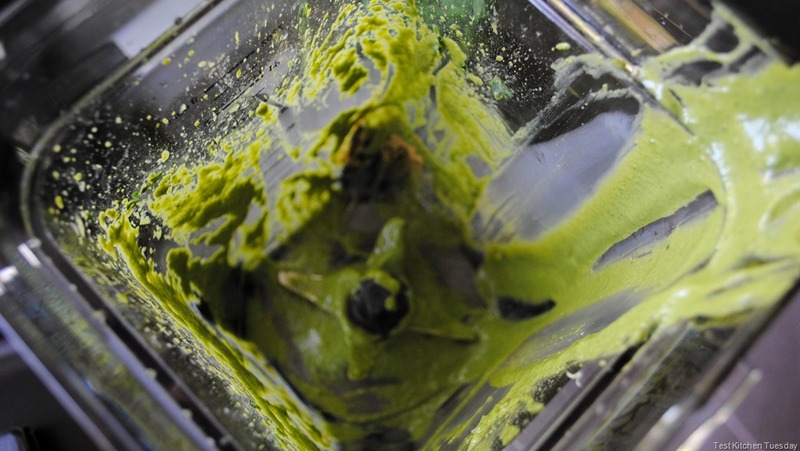 But, when it comes to making green smoothies, some people are turned off by the inability of the Ninjas to get greens like spinach or kale totally pureed. 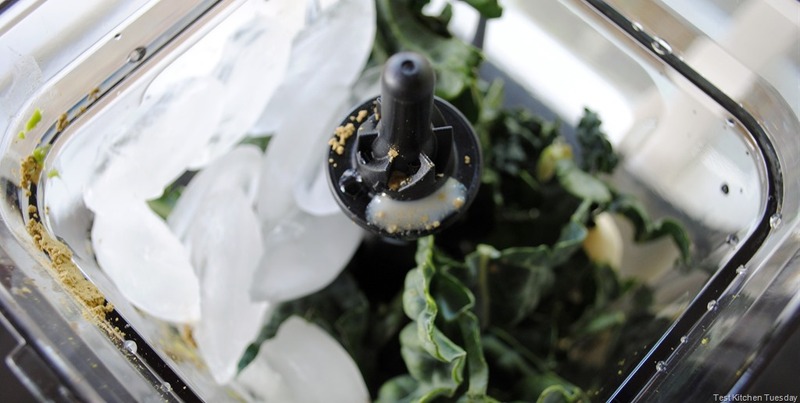 The single serve cups for everything from the Ninja Pulse to the Ninja Mega KS work really well to puree greens, but that is because the blade design is more like a traditional blender. 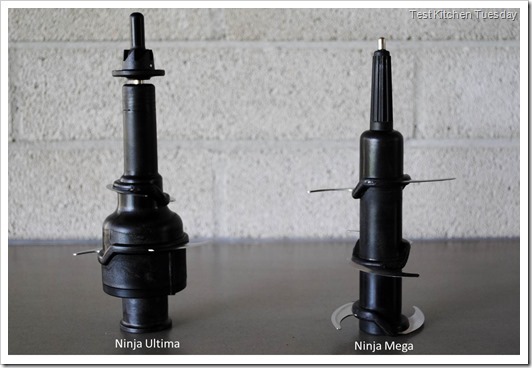 With the Ultima, the makers at Ninja have clearly aimed to solve this problem, with a hybrid blade set up. 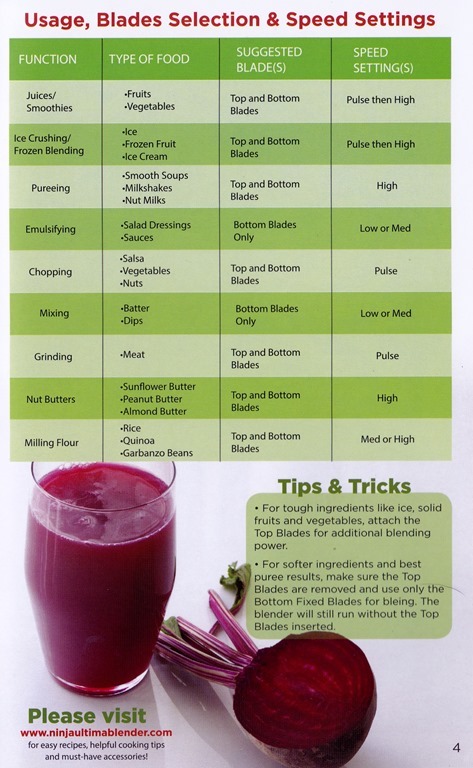 First, there is a standard looking blender blade at the bottom (though it is significantly beefier than what you’d find in a cheap blender). Then, there is a “quad blade” that stacks on top of this blade, should you need it. 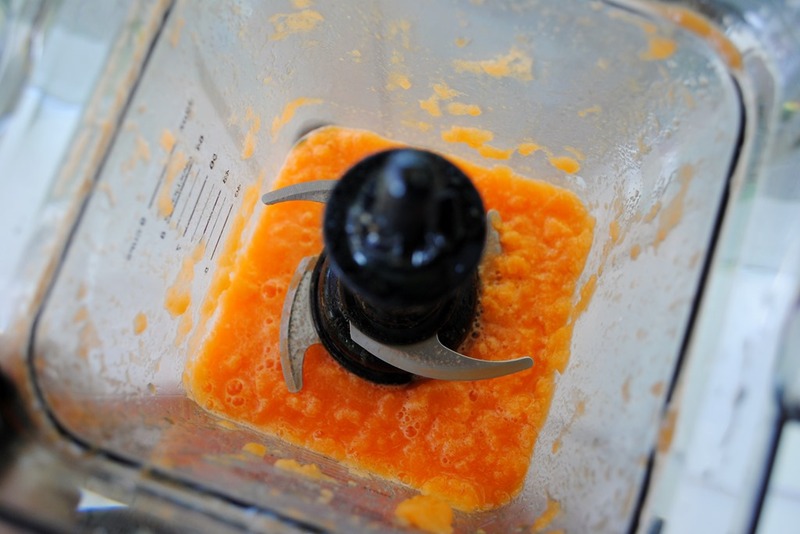 It should be noted that the blender *will* operate without the quad blade stacked on top. Here is a look at the Ultima Blade side-by-side with the blade from the Ninja Mega. The Mega has a six-blade configuration, whereas the Ultima has a quad-blade configuration. With the Ultima, you can blend either with just the lower blade cluster, or, with the lower cluster and the removable quad blade. This, of course, could cause confusion of when to use which setup, so Ninja provides a little quick-reference chart that outlines best blade selection. 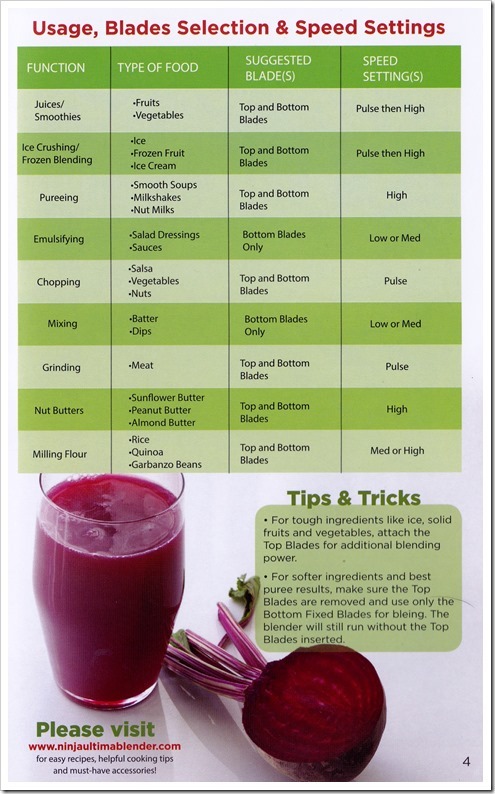 The general rule is that you use both blades for most uses except emulsifying/pureeing. Here is the chart provided in the Inspiration Guide for the BL800. This is likely to be slightly different for other models with variable 1-10 speed settings but you get the idea. 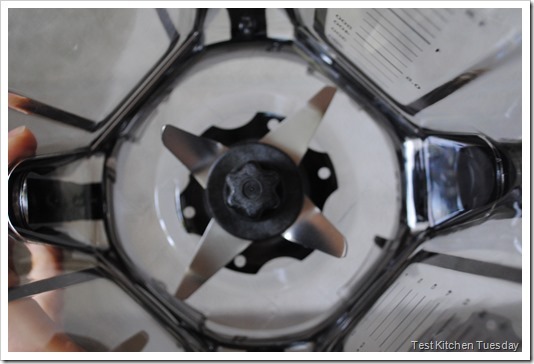 In terms of size, the Ultima is fairly similar to the Ninja Mega, with a slightly stouter base and jar (though the jar is the same size – 72 ounces). The main thing you’ll notice is that the power and speed buttons are different. Though, with the BL800, the options are similar: Pulse, low, medium, and high. With the other models, BL810 and higher, your power dial will have numbers 1-10 instead of low-medium-high for more fine-tuning type speed adjustments. 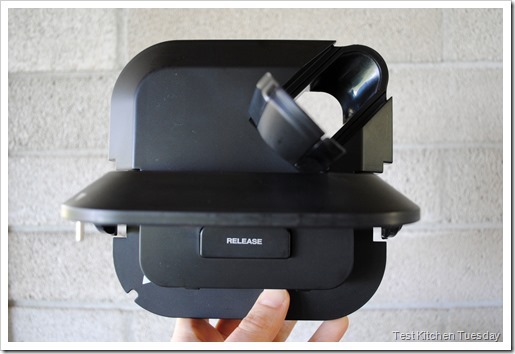 Additionally, the Ultima has suction cups on the base, like the Mega, but there is no lever to release them. They’re just “there” and you don’t have to worry about activating them. 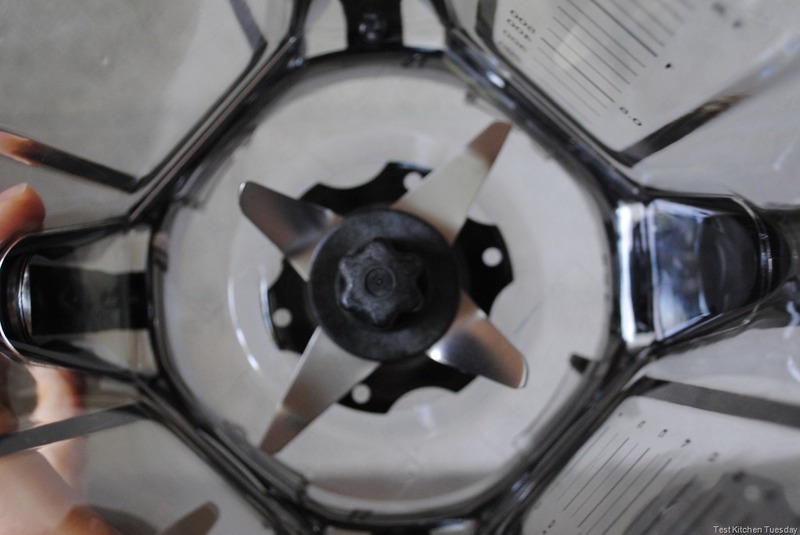 The jars lock onto the bases in a similar manner, and, the standard “line up the arrows on the lid with the jar handle” that is basic to all the Ninja blenders applies here as well. 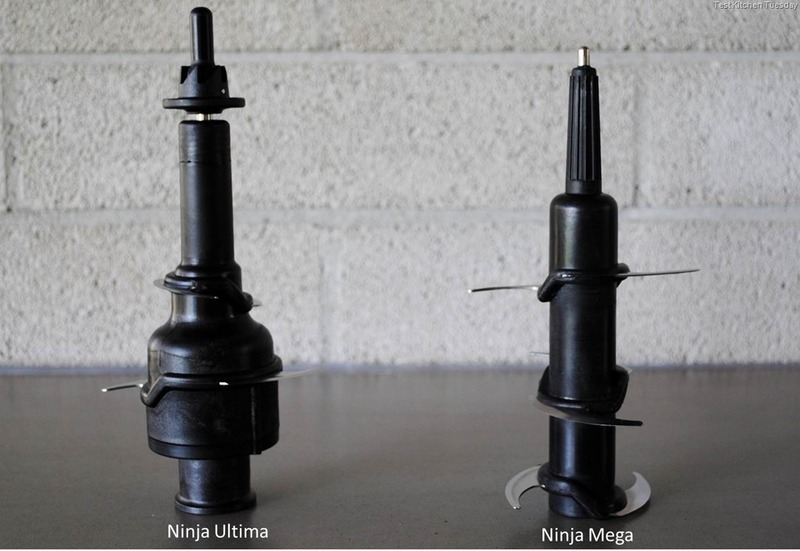 In many aspects, it’s very similar to the Ninja Mega, with a few changes, the blade differential being the biggest tweak. The power is the same at 1500 watts. 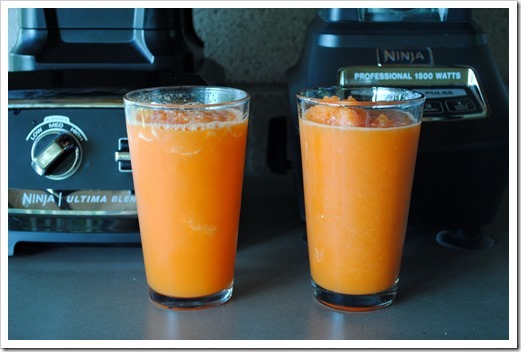 By far, the most common search term that people use to find this blog revolves around juicing with a Ninja Blender: How to juice with the Ninja Blender, recipes for Ninja Blender juice, why there is pulp in juice from the Ninja Blender, and on and on. 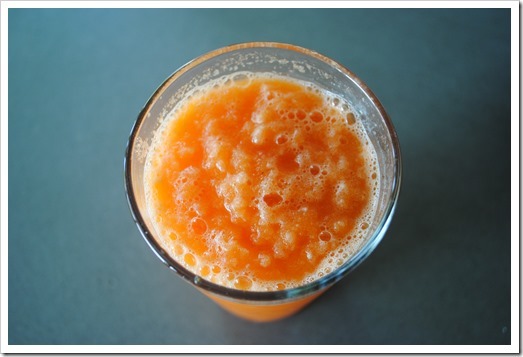 I will stand behind the statement I’ve made for years: It depends on how you define juice. 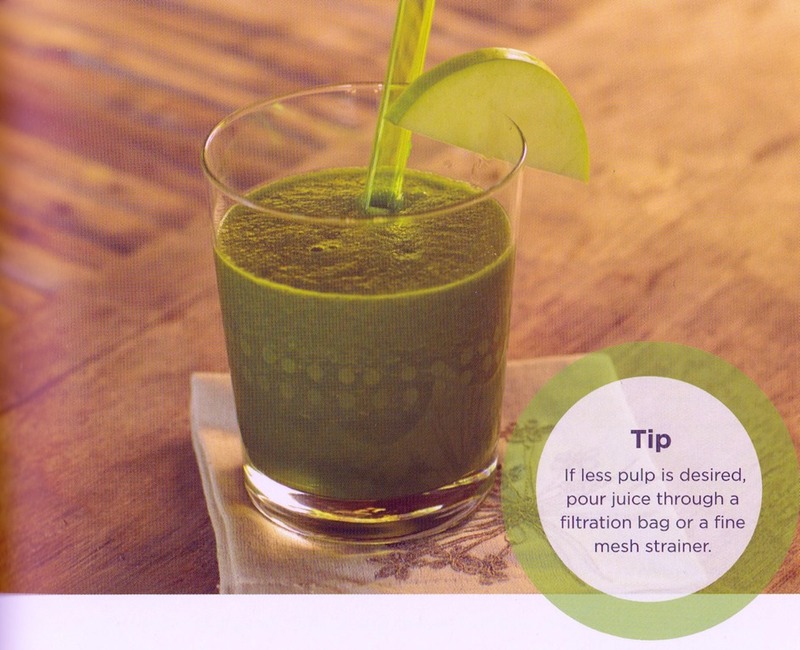 Tip: If less pulp is desired, pour juice through a filtration bag or fine mesh strainer. 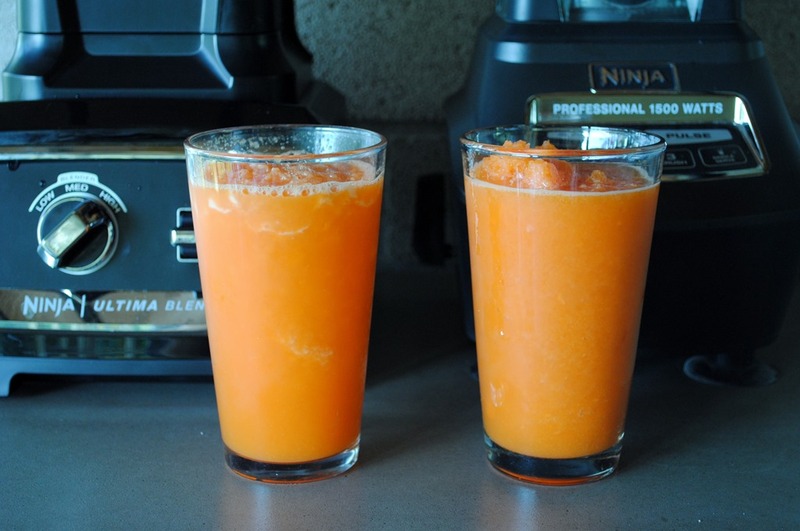 This blender is no different from the Ninja Mega Kitchen System in that it can produce “whole food juice,” which I explain how to do here. 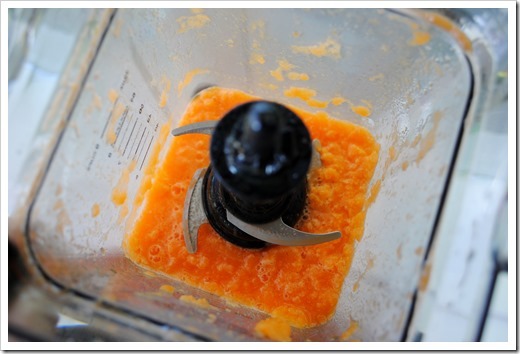 (For what it’s worth, you can also do this in the Ninja Professional blender as well, if you blend a little longer). 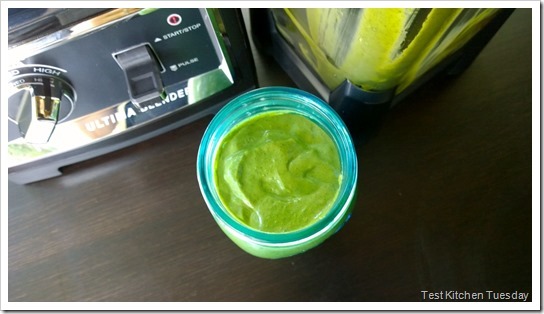 Okay, with all of that lead in information covered, let’s get to what you really care about: Green Smoothies. 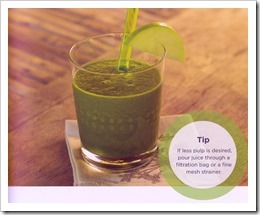 I couldn’t give you a green smoothie test without a recipe, now could I? 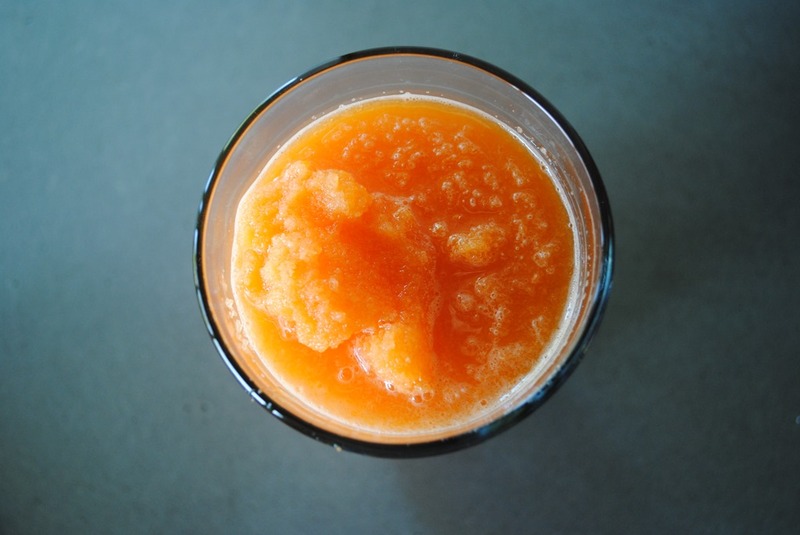 This is a smoothie I made up on the fly, and it is delicious (ahem…if I do say so myself!) 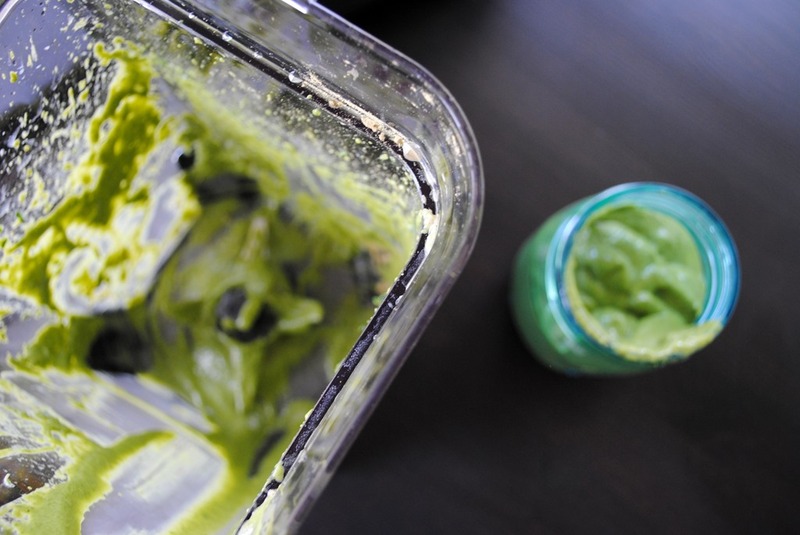 If you don’t have Matcha tea powder, just leave it out. 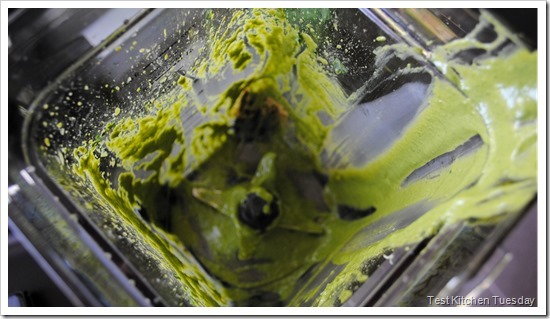 But, I recommend Matcha tea if you have it! For those that like to cut to the chase, I made a short video of this process. This video will also give you a good gauge on the volume of the blender – it’s not exactly quiet, but 2Chili thinks it’s quieter than some of the other models, and he’s extremely sensitive to blender noise. 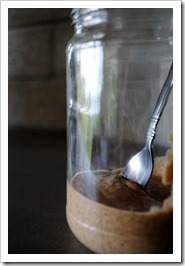 Here is a close up of the jar which shows how smooth this is – look at the lip of the jar. You can’t see any green little flecks of kale because there really are no measurable flecks! 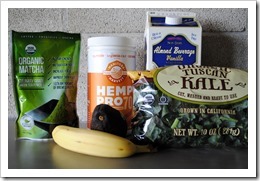 Bottom Line: Does it Pass the Green Smoothie Test? Absolutely, hands down, no question. It passes and then some. 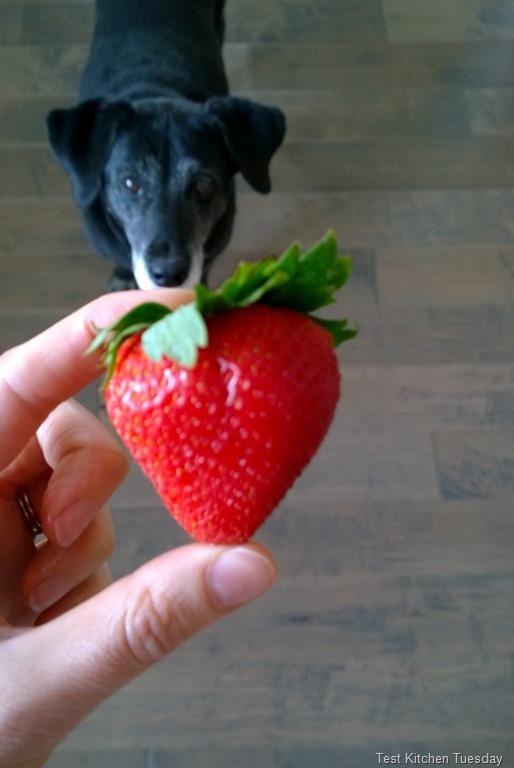 I have made quite a few smoothies now with green ingredients (whole strawberries with tops, kale, spinach), and have not have any issues with green “bits” in the smoothie. 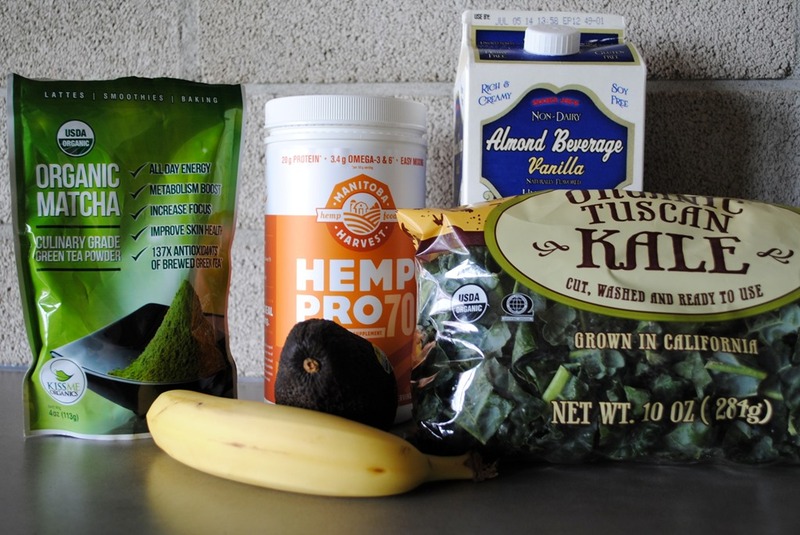 This is the closest I’ve seen a Ninja blend to a Vitamix in terms of green smoothies, and I believe it addresses the issue that folks have with green smoothies in Ninja Blenders. 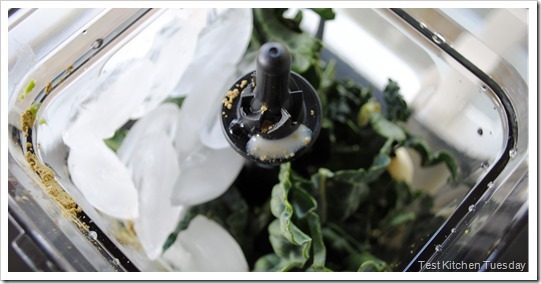 The hybrid blade system blends the heck out of kale, which is incredibly fibrous. Removing the lid of this model is just like the Ninja Mega or Ninja Professional: You press the “release” button to release the handle on top of the lid, and use one hand to hold the blender jar down while simultaneously pulling up on the lid’s handle. It does take some effort to pull this lid off – it’s not something you can do with one hand. It’s not hard, by any means, but does require a bit of force. If you are curious about this process, definitely watch the little video I made, as I specifically pulled the lid off in that demo. 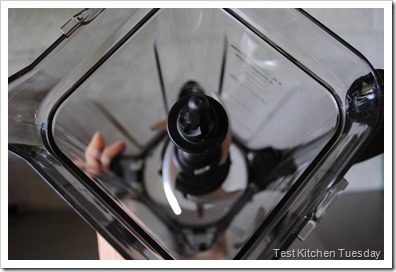 Clean up is truly a breeze: Either rinse all the parts and put in the dishwasher (being very careful with the quad blade), or, drop a bit of dish soap in, put the quad blade and lid on, and blend for about 30-45 seconds on high. Then, rinse and let dry. The main thing to note here is to be very careful when handling the quad blade, as it is sharp. Be aware of where you have placed it, don’t leave it in the sink for someone else to find it with their flesh, and be careful if you put it in the dishwasher. It is very easy to handle by the top, where there is no blade, so there is no real worry that it is dangerous to handle. However, I have been called to the carpet in the past for not explaining clearly that the blade is sharp. So, there you have it: The blade is sharp, use care! 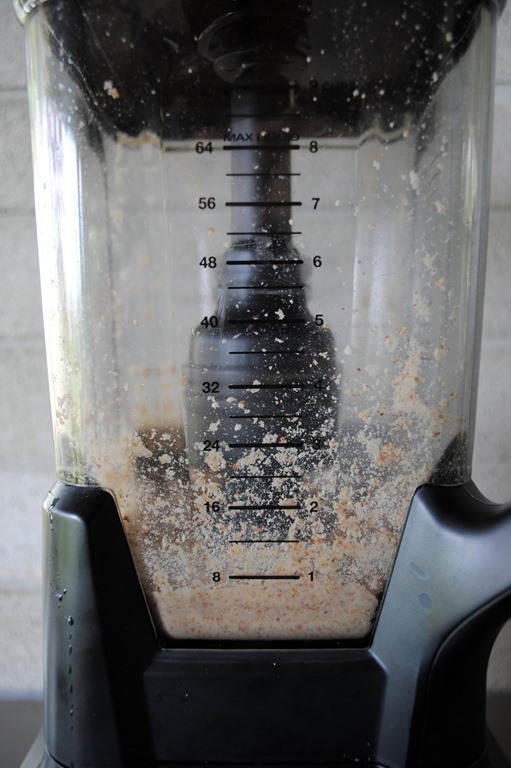 If you are in the market for a new high-powered blender, the Ninja Ultima is definitely a winner. I am honestly impressed with it. It is right in line with what I’d expect from a Ninja, and delivers on its “total crushing” promise. 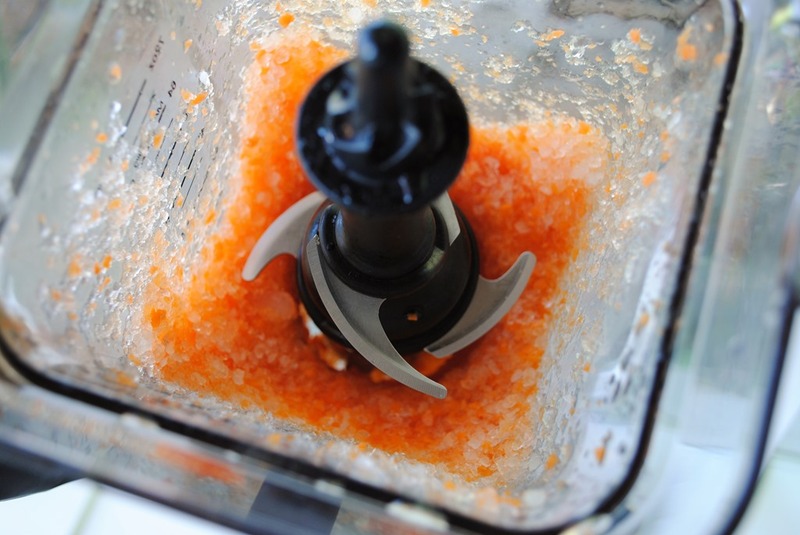 If you do your homework and shop around, you can get a good deal on all of the different iterations of this blender. What if you already own a Ninja of some other model? 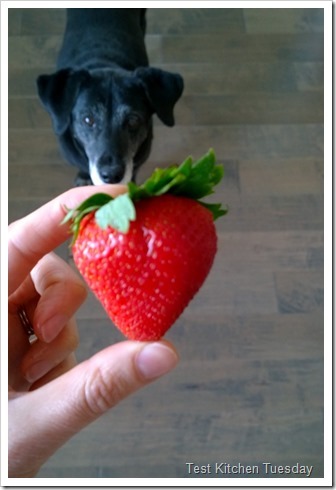 Should you sell or donate your current Ninja and run right to the store to buy this one? It really depends on what you want to do with it. I truly find that most of my needs are met with the Ninja Mega KS, and, a lot of the time, with the Ninja Pulse. 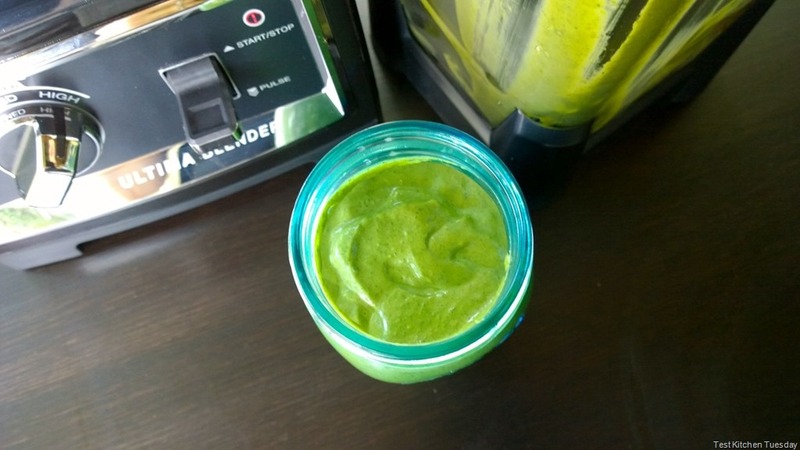 That said, I am super happy I have this one now – green smoothies are a big part of my diet, and creamy green smoothies are a good thing. 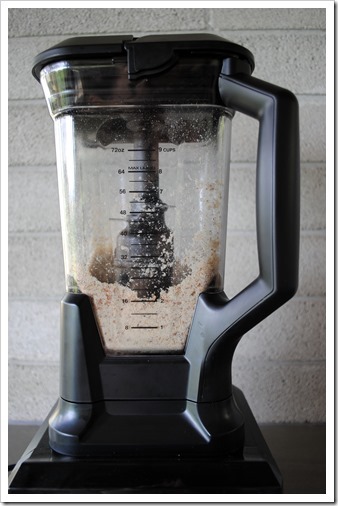 This blender is really for the person that wants a Vitamix but doesn’t necessarily want to spend the greenbacks to get a Vitamix. 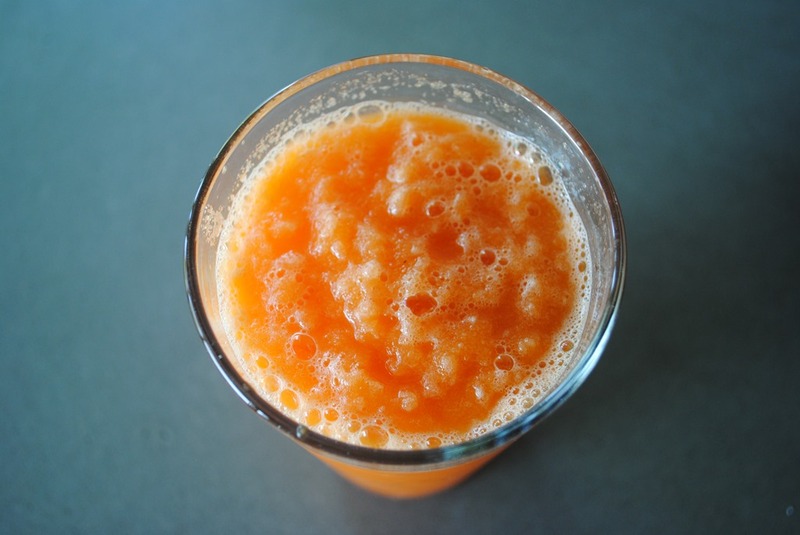 I will continue to test the Ultima out over the next few weeks and bring you more installments of my little “will it blend?,” experiments. 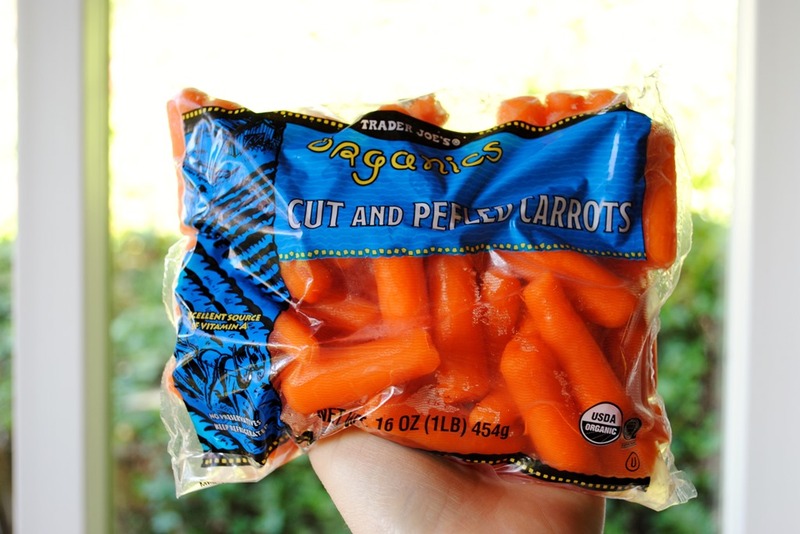 I’m planning to make some form of nut butter, perhaps a hummus, and a whole food juice. If there is anything you want to see it do/make, please leave that for me in the comments and I will be happy to oblige. And always, if you found this review helpful and want to buy a Ninja Ultima, or anything really, doing so via Amazon puts a little change in my piggy bank to help keep reviews like this coming. Thanks for reading! 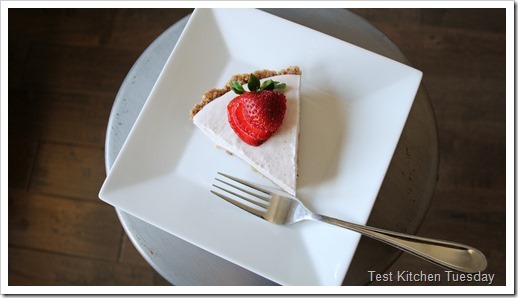 What Do You Want Tested in the Ninja Ultima? Friends, it’s here. 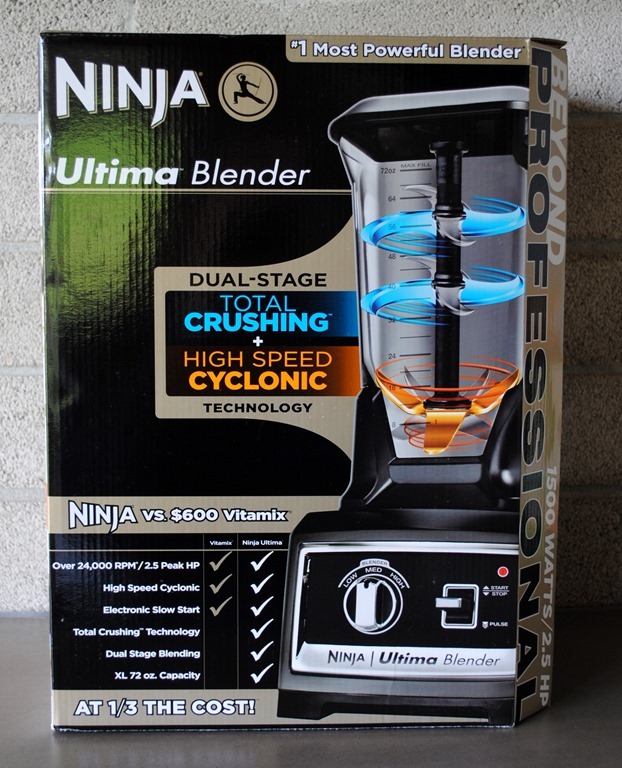 The long awaited, long anticipated, Ninja Ultima Blender. 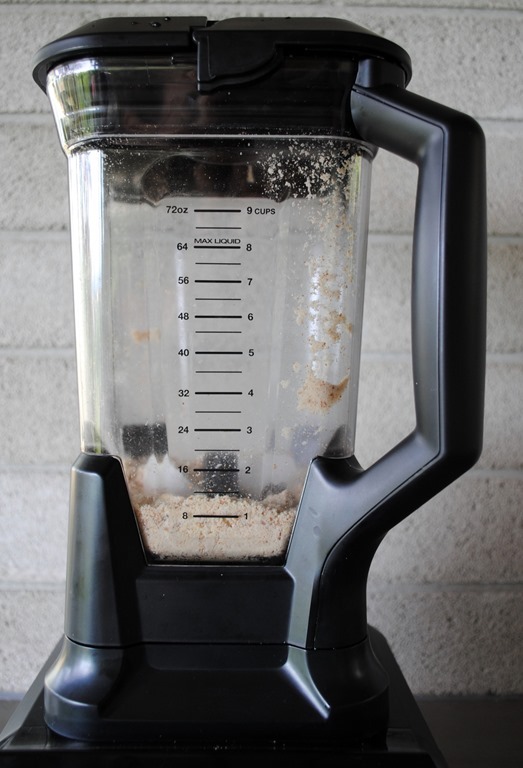 I had been on the fence whether or not to buy this blender since its debut around the holidays last year – as you know, I have no affiliation with Ninja and buy everything I review retail – but ultimately decided to give it a whirl. This makes the fourth Ninja Blender in the quiver, which honestly, I keep buying so I can give you guys non-biased reviews and answer your every blending question. Now that I have it, what do you want me to make with it as part of the upcoming review? 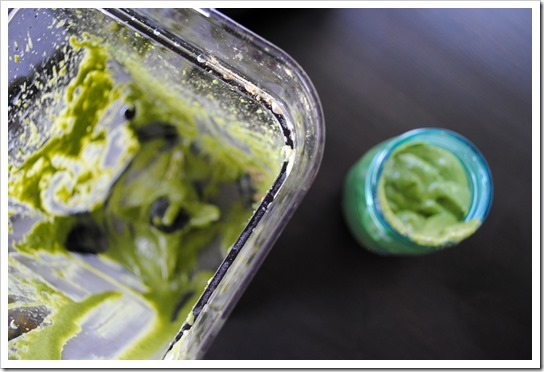 I will definitely do a green smoothie to answer the most important question, “How well does it puree greens?” But, what else do you want to see? 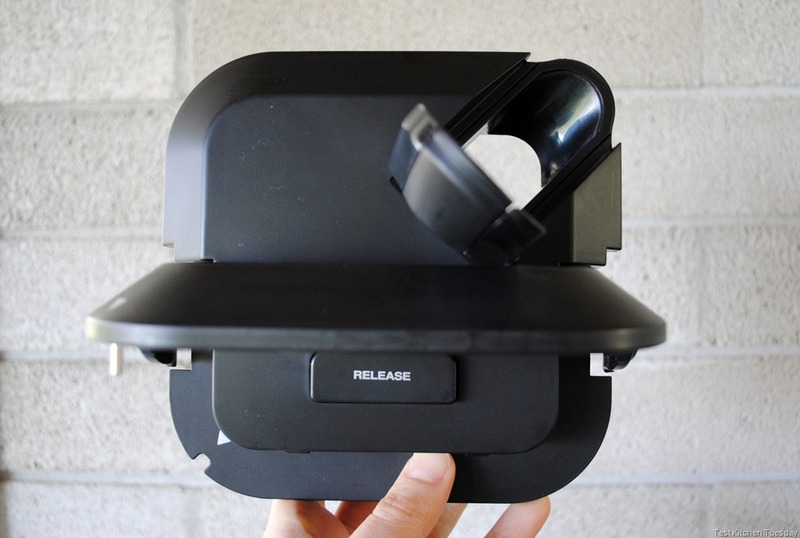 I’ll give you the first-glance impression so far, after unboxing: This thing is stout. The base is heavy, and, the pitcher is very reminiscent of a Vitamix pitcher. The blade design is a cross between a traditional blender and the special Ninja blades that go up the middle, which I expect to be stellar. Here is one sneak peek from the upcoming review – a side-by-side photo of the Ultima next to its little brother, the Ninja Mega. 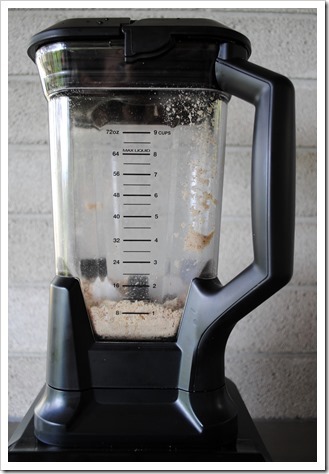 I expect to put this blender through its paces for a couple of weeks, and hope to get you a review in early June. Please let me know what you want tested in the comments, and I’ll get after it!